He’s won the Oscar, the Palme d’Or and the German Film Prize. Volker Schlöndorff is one of Germany’s most successful directors. 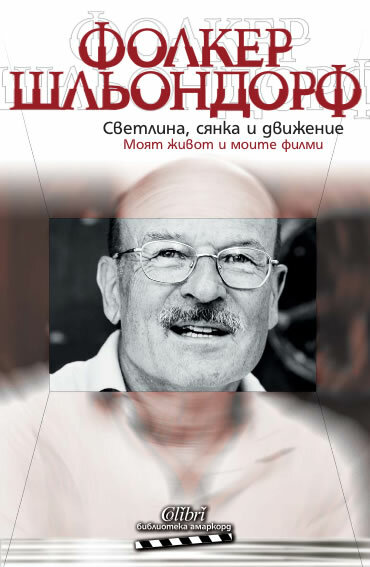 Schlöndorff published his autobiography, shortly before his 70th birthday. Acclaimed German filmmaker Volker Schlöndorff was educated at Paris' Lycee Henry IV and the Sorbonne; he majored in political science and economics. While still in Paris, Schlöndorff studied directing at the highly regarded IDHEC film school. He worked in France for four years as an assistant director, then made his directorial bow with 1966's Young Torless. Set in an exclusive boys school, the film was designed as a parable concerning the unprotested rise of Nazism; it won the critics prize at the Cannes Festival, and its box office success helped open career doors for many other "New German Cinema" directors, among them Rainer Werner Fassbinder andWim Wenders. Schlöndorff formed a partnership in the late '60s with a consortium of German TV stations which underwrote many of his subsequent projects. One of the more successful of these projects was The Lost Honor of Katharina Blum (1975), the scorching tale of a young woman driven to drastic measures as the result of the wrongful scrutiny and societal condemnation leveled at her after her one-night stand with a mysterious man. In 1979, Schlöndorff's The Tin Drum, an adaptation of Gunter Grass' allegorical tale of a young boy who refuses to grow up mentally or physically as a reaction to the horrors of war, won a number of honors, including the Golden Palm at Cannes and the Best Foreign Film Oscar. The director made his American debut with the 1985 televised adaptation of Death of a Salesman, which starred Dustin Hoffman. 1990's The Handmaid's Tale, an adaptation of Margaret Atwood's terrifying future dystopia, provided one of Schlöndorff's greatest international successes. His subsequent work throughout the '90s was sporadic, with 1998's Palmetto earning widespread critical lambast.